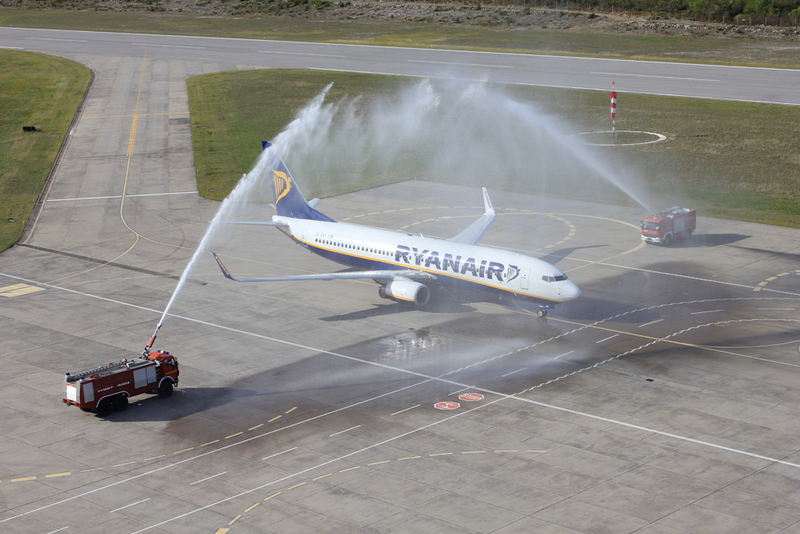 Water Salute Tradition: These Are What You Need To Know - AutoReportNG "AutoReportNG-The No 1 Car Blog In Nigeria That You Can Trust - AutoReportNG"
Ever been in an airport before and you see the firefighter truck spraying water on a plane? The first time I witnessed such, I thought the plane caught fire! 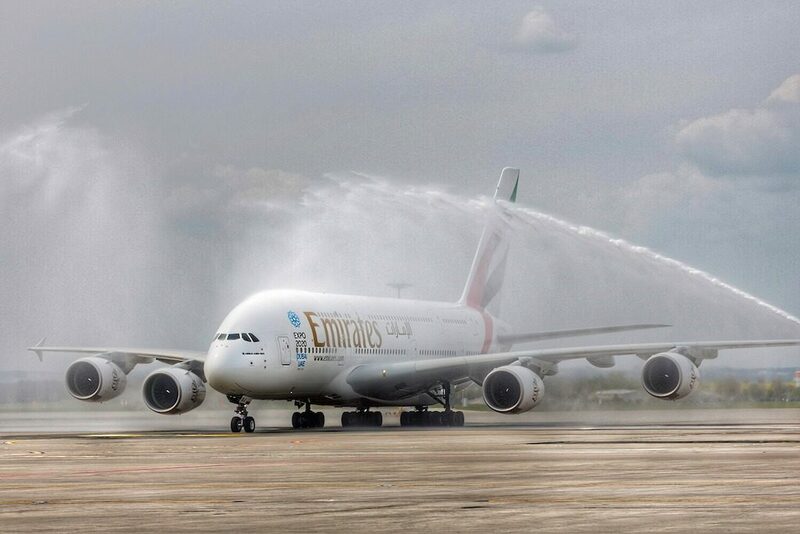 Poor me, little did I know that the plane is being given what the aviation gurus call a Water Salute! The water salute is a touching airport tradition to honor military veterans, foreign dignitaries and new airline service. Salutes typically involve two firefighting rigs spraying arcs of water over an arriving or departing flight. It is a sign of respect, honour, and gratitude. Each water cannon salute, which lasts about two minutes, can use as much as 3,000 gallons of water, so it does involve airport fire department resources. A water salute consists of placing an even number of ARFF vehicles, namely crash tenders with powerful water cannons, on each side of a taxiway, pumping water to create a high arch. It can also be performed by three vehicles forming a triangle, with their water cannons’ stream meeting at the centre. At an airport, typically an even number of vehicles will line up perpendicularly on the sides of the taxiway or apron, and the plumes of water will form a series of arches. Symbolically, the procession looks similar to a bridal party walking under a wedding arch or the saber arch at a military wedding. 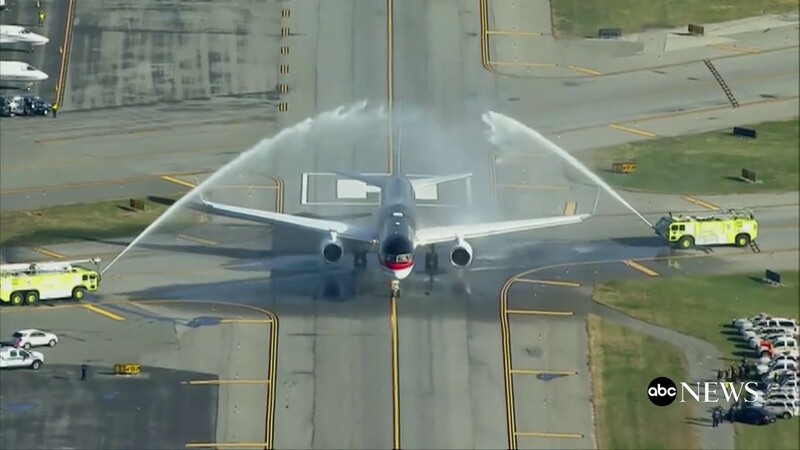 Water salutes have been used to mark the retirement of a senior pilot or air traffic controller, the first or last flight of an airline to an airport, the first or last flight of a type of aircraft, or other notable events. When the Concorde flew its last flight from John F. Kennedy International Airport, blue, white and red coloured plumes were used. United States President Donald Trump received a water salute on his first departure from LaGuardia Airport after winning the presidential election in 2016. Water salutes are also used for ships and other watercraft, with water being delivered by fireboats. This is often done for the first or last visit or retirement of a senior captain, the first or last cruise of a ship, the visit of a warship, or other ceremonial occasions. - If the airline is closing down the route and its the last flight of that airline from that particular airport. - An even number of fire engines line up along the runway to perform the salute. - Another way of performing the salute by forming a triangle with the water beams coinciding at the center. - An airport should have a sufficient number of fire engines available so that they can respond to emergencies that may take place in any other part of the airport. It is interesting to note that water salute is not unique to airplanes alone and it is also given for ships as well. No one knows exactly when and where did water salutes in airports start. It is well known, though, that back to the days of the ocean liners it was common for fireboats and tugs to spray them with their water cannons when they were leaving or entering a port.